Missouri Republican Ann Wagner was not selected to serve as the new chair of the Republican National Committee. Republicans elected Reince Priebus as their new party chairman in the 7th round of voting. After five rounds of voting Wagner came in fifth. "You know the Republican National Committee matters to me, it matters to all of us. It is time that this committee heal and unify and remember that it is our job to beat Barack Obama in 2012…that is our job." Wagner also served as Ambassador to Luxembourg as well as Chair of the Missouri Republican Party. Bill Lambrecht is the Washington Correspondent for the St. Louis Post-Dispatch. He says Wagner's status as a "Washington outsider" may have hurt her chances. "Well I think this was an inside game to begin with,” Lambrecht said, “Reince Priebus was well situated as a long-time inside player in Washington, the general counsel of the party. It's difficult for an outsider like Ann Wagner, even though she has good national connections, to break through." Despite losing, Wagner does emerge as one of Missouri's top Republicans, a fact which automatically adds her name to a list of people who may challenge Claire McCaskill's Senate seat in 2012. 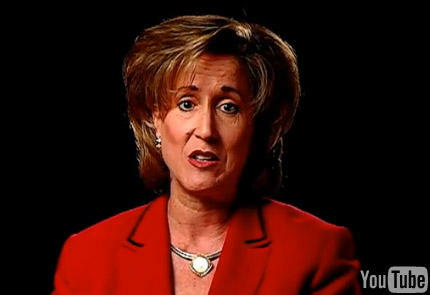 Ann Wagner, a familiar face to Missouri Republicans, (and the people of Luxembourg) announced her intentions for a bigger post today; Chairman of the Republican National Committee.